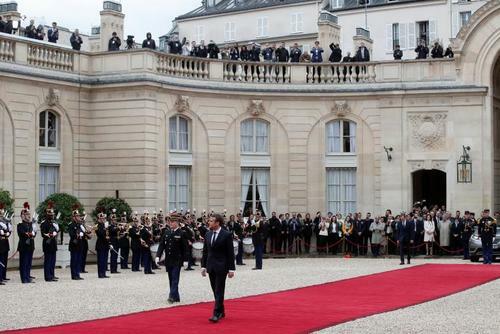 ReutersEmmanuel Macron was confronted on Monday with pressing reminders of the challenges facing him as France's next president, even as allies and some former rivals signaled their willingness to work closely with him. ReutersMarine Le Pen's defeat in France's presidential election has triggered a rare public display of disagreement among officials and allies of her National Front on the far-right party's policy of quitting the euro. 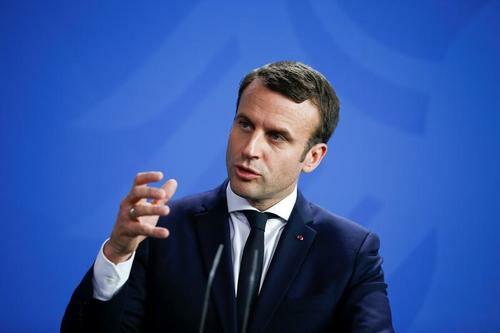 ReutersFrench President-elect Emmanuel Macron told his U.S. counterpart Donald Trump in a telephone call on Monday that he would defend a climate change deal agreed in Paris in 2015, his spokeswoman said. What we know about Brigitte Macron, via Reuters TV. President elect Emmanuel Macron's party " La Republique en Marche" announces his 577 candidates for the June legislative elections. 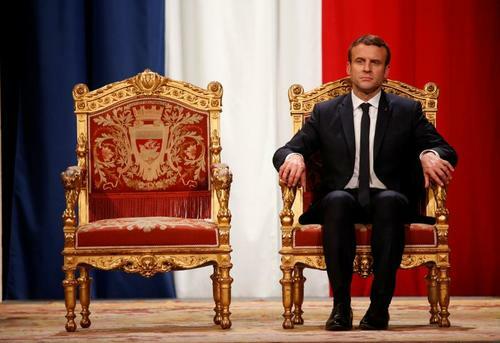 Reuters UKWhile the election of Emmanuel Macron as French president with a vision of closer European Union integration was a relief to much of Europe, for Poland and Hungary it fanned fears of losing influence. Reuters UKFrance's next prime minister will be appointed on Monday and the country's new government on Tuesday, a source close to President-elect Emmanuel Macron told Reuters on Sunday. 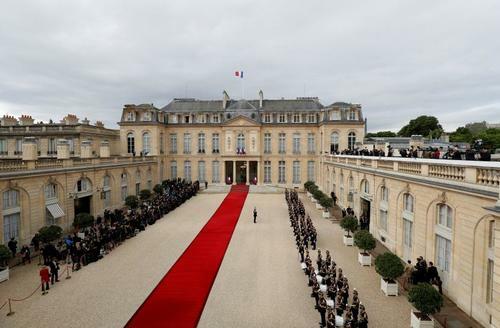 Reuters UKFrench President Emmanuel Macron appointed Alexis Kohler on Sunday as secretary general of the Elysee palace, the most powerful role among presidential staff, while career diplomat Philippe Etienne was named as his top foreign policy advisor. 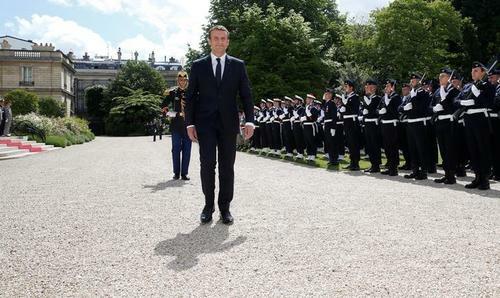 Reuters UKFrance's new president Emmanuel Macron wore a suit costing a modest 450 euros (just under 388 pounds) for his inauguration on Sunday, in an apparent attempt to dissociate himself from "bling-bling" politics. 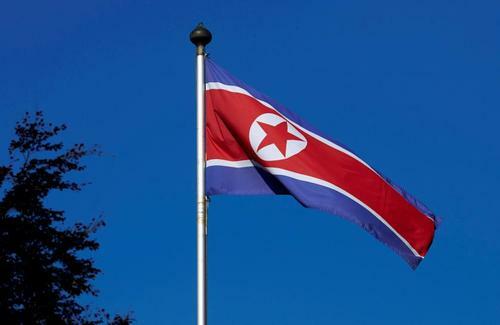 Reuters UKFrance on Sunday condemned the latest ballistic missile test carried out by North Korea, warning that the Asian country was a "serious threat" to global security and should immediately abide by its international commitments. 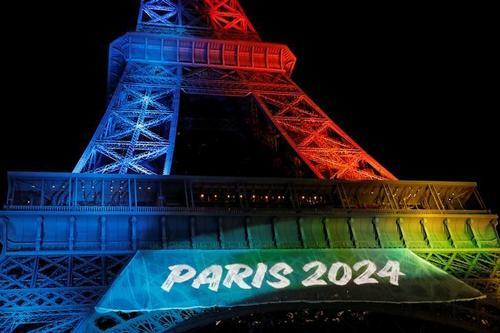 Reuters UKFrench president Emmanuel Macron will meet the International Olympic Committee's (IOC) evaluation commission on Tuesday in an effort to boost Paris's bid to host the 2024 Games, a bid official said on Sunday. Reuters UKChancellor Angela Merkel hosts new French President Emmanuel Macron in Berlin on Monday for talks in which they will seek to reinvigorate the Franco-German relationship and the troubled European project that it underpins. French President's Secretary General to make announcement on new prime minister at 14.30 local time. ReutersMarine Le Pen, the far right politician who was defeated by centrist Emmanuel Macron in her bid for the French presidency, has resumed her job as head of the National Front (FN), a senior official in the party said. Newly inaugurated centrist President Emmanuel Macron appointed on Monday conservative Edouard Philippe as prime minister, an unprecedented move in postwar France in the voluntary choice of a head of government from outside the president's party. Philippe, 46, a lawmaker and mayor of port city Le Havre and a close associate of prominent conservative Alain Juppe, is from the moderate wing of The Republicans party. 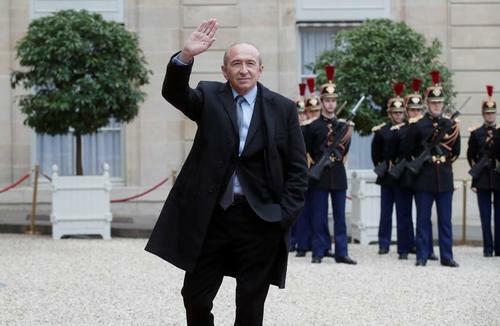 He will be a counterweight to the former Socialist MPs who have joined Macron's cause. 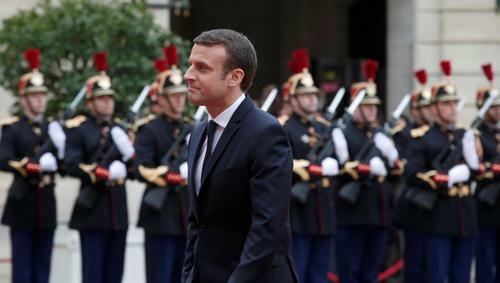 ReutersNewly-inaugurated French President Emmanuel Macron appointed a conservative prime minister on Monday in a move to broaden his political appeal and weaken his opponents before legislative elections in June. ReutersMarine Le Pen, the far-right politician who lost her bid for the French presidency a week ago, resumed her job as head of the National Front (FN) on Monday but left followers guessing as to whether she will stand in the coming parliamentary elections. ReutersFrench President Emmanuel Macron's conservative prime minister has plenty in common with his boss, but the 46-year-old who boxes in his spare time has not shied from throwing a political punch at the young centrist in the past. Reuters UKThe head of France's main conservative party disowned his colleague Edouard Philippe on Tuesday for taking up the job of prime minister under centrist President Emmanuel Macron. 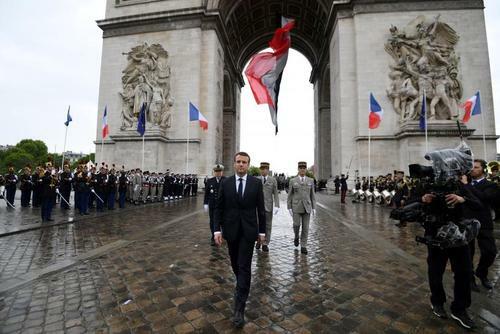 Reuters UKWhen Emmanuel Macron rode down the Champs Elysees after his inauguration in a military jeep and not the customary limousine, France's youngest postwar president sent a message that on his watch Paris will be strong and determined in its diplomacy. Reuters UKBruno Le Maire, named French economy minister on Wednesday, is a reform-minded conservative whose expertise on Europe and staunch defence of the Franco-German relationship will prove valuable as new President Emmanuel Macron pushes for closer EU integration. 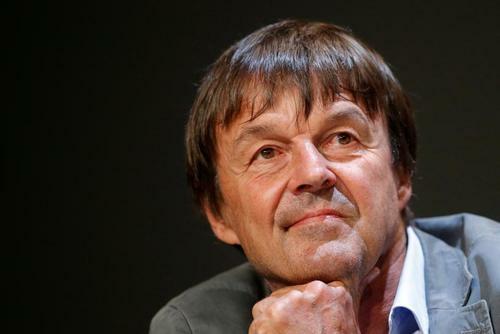 Reuters UKGreen activist Nicolas Hulot was appointed as the minister responsible for environment and energy in the new French government on Wednesday, sending the share price of nuclear utility EDF down as much as seven percent. 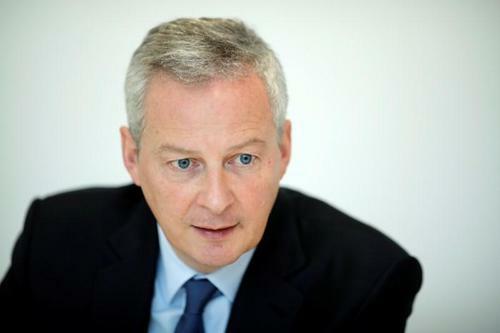 Reuters UKNew French economy and finance minister Bruno Le Maire said on Wednesday he would travel to Berlin on Monday to meet his German counterpart Wolfgang Schaeuble before heading with him to Brussels for a euro zone finance ministers' meeting. 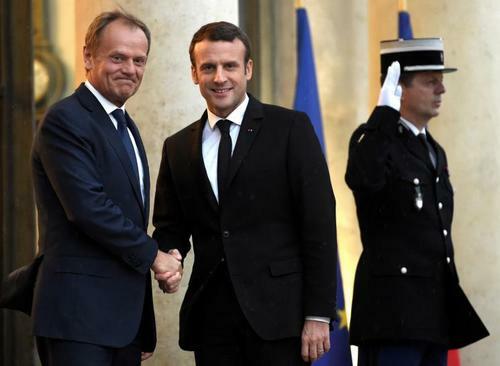 Reuters UKFrench President Emmanuel Macron said on Wednesday he would begin working immediately with European Council President Donald Tusk on the overhaul of the bloc, which needed a new and ambitious policy. 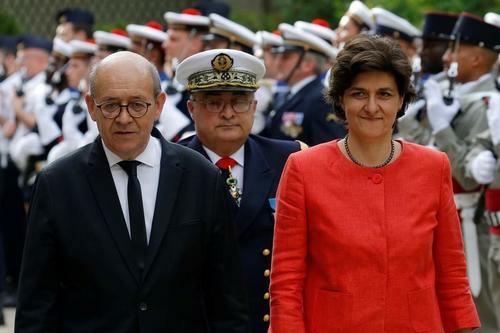 Reuters UKFrance's outgoing defence minister was appointed to run a newly created Europe and Foreign Ministry on Wednesday and an ardent European took over his old portfolio, cementing President Emmanuel Macron's pledge to give the 28-nation EU new impetus. 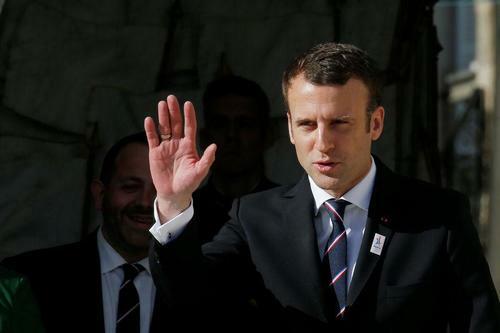 Reuters UKFrance's centrist President Emmanuel Macron gave ministerial jobs to conservatives, socialists and newcomers to politics on Wednesday, appointing an unprecedented all-stripes cabinet to bridge traditional divides and broaden his support. Reuters UKFrench Prime Minister Edouard Philippe's new government comprises a mix of socialist and conservative officials, with an equal balance between men and women as well as people from civil society. 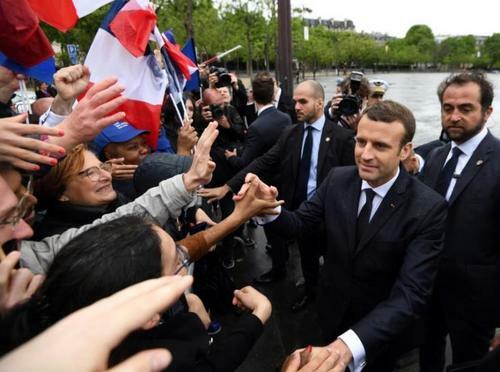 Reuters UKSupport for French President Emmanuel Macron's new centrist party is growing before legislative elections next month, a poll found on Thursday, raising the chances that he will be able to win parliamentary backing for his reform plans.